FOR IMMEDIATE RELEASE – May 03, 2017, Los Angeles: Eric Edson, author of The Story Solution, a how-to book on screenwriting and storytelling, was recently interviewed by Film Courage. 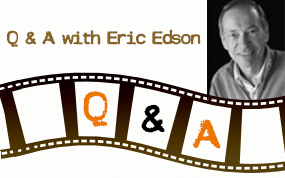 In his recent interview with Film Courage, Professor Eric Edson recalls the early days of his career and offers sage words of advice to new and aspiring screenwriters. Eric recounts the sale of his first screenplay and how the reality of being a working screenwriter does not always meet lofty expectations. Edson, Professor of Screenwriting and Director Emeritus of the MFA Program in Screenwriting at California State University, Northridge, describes how the sale of his first screenplay at the age of 24 changed his direction in life, and led him to enroll in the MFA program at the American Film Institute. When asked by Film Courage whether he had expected to “capture lightning in a bottle” again in the years immediately following that first sale, he explained that his optimism was definitely tempered with realism. It would be another eight years before Edson sold his next screenplay. He warns that a career as a professional writer is not for the faint of heart, explaining that “you are going to get kicked in the teeth.” His advice is to “toughen your skin,” persevere, and above all else, “learn from everything.” He credits his own eventual success to making himself inevitable by “continuing to crank out original material.” By writing and rewriting and reading many books on screenwriting, he perfected his craft and created a drawer full of good scripts. Edson cautions those entering the field to have realistic expectations. Much of the work screenwriters sell might not actually be filmed. In order to achieve even a small amount of success you must be prepared to pay your dues. Overnight sensations are not what the industry is comprised of. 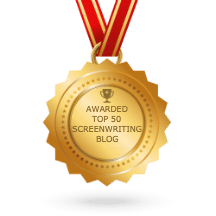 It takes hard work, dedication, the ability to accept defeat without being defeated, and a willingness to “buckle down for the long haul” to make a name and a living for yourself in screenwriting. Eric Edson’s The Story Solution provides screenwriting tips for those interested in screenplay writing. Seen as one of the best books on screenwriting and currently #1 in its category on China Amazon, Edson outlines 23 actions used to create three dimensional heroes. Visit the website at https://www.thestorysolution.com to learn about writing a movie script. “Like” the Facebook page to receive tips on scriptwriting. Indeed, sage words of advice to new and aspiring screenwriters. Life experiences truly offers a wealth of lessons that we can use to make everything we do worthwhile. And all the points given by Eric here are very helpful for a would-be screenplay writer like me.